The online bookmaker Paddy Power currently offers 100 to 1 odds that the Large Hadron Collider, the world’s most powerful particle accelerator, will discover God. While somewhat glib, this factoid does hint at the creative play at work in what Barbara Herrnstein Smith calls the “nexus” of science and religion. Speaking of a nexus reveals how much the conversation on science and religion has changed since the more simplistic conflict-based models championed by many among earlier generations of scholars. Such models emphasized a chronic and consistent conflict between science and religion in North America, symbolized most vividly in the Scopes “Monkey” Trial of 1925. Yet in recent decades, scholars as diverse as Herrnstein Smith, Stephen Jay Gould, Edward J. Larson, and Ronald L. Numbers have all contributed to a growing scholarly consensus that challenges such inherited narratives. The albatross of the “conflict model” (as Numbers and other historiographers call it) has finally fallen away. This article adds to a growing trend of more nuanced views of the relationship between science and religion in American religious history, eschewing the older models of conflict. It derives from my current research on scientists’ treatments of religion in their public discourse. 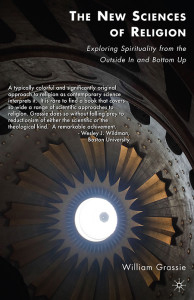 Since most of the existing scholarship has asked how religious individuals and institutions have responded to new scientific ideas and developments, my research examines how scientists have engaged, redefined, and utilized religion and religious concepts. My examination shows that American physicists have envisioned definite sympathies between science and religion, and sought to creatively deploy them in order to accomplish a diverse set of goals, sacralizing science and invoking the themes and rhetoric of religion in order to heighten the credibility of their specific scientific enterprises. This finding inverts the often-assumed paradigm of religion seeking to become more scientific in the modern world. Since scientists’ reasons for sacralizing science—and their specific methods—vary, I consider several manners in which physicists have engaged religion. 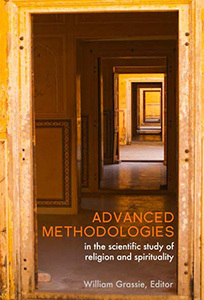 The approach developed here utilizes a typology with three categories: science as a source for religion, science as support for a particular religion, and science itself as sacred. What unites them all is that they sacralize science, either explicitly or implicitly, transforming the act of science from a secular one into either a quasi-religious vocation, or a handmaiden of sorts to religion. Before considering the three clusters of physicists and how they engage religion, two other typological models of the relation of religion and science are relevant. Of scholars of religion and science, Ian Barbour stands out for his thoughtful attempt to reconcile the two and to chronicle their relationship. In his Gifford Lectures of 1989-1991, Barbour developed a fourfold typology of the relation of religion and science, which he subsequently elaborated in the publication of the lectures, Religion in an Age of Science (1990), its revision, Religion and Science: Historical and Contemporary Issues (1997), and most recently inWhen Science Meets Religion (2000). Barbour develops four categories in his typology: conflict, independence, dialogue, and integration. Of the four, conflict is most clear. Barbour identities biblical literalists and atheistic scientists as exemplars, and explains that while they disagree on (for example) whether to accept evolution or theism, both agree that the two are incompatible, and that science and religion must remain as enemies. Barbour’s second category, independence, is also clear. As Barbour explains, “[a]n alternative view holds that science and religion are strangers who can coexist as long as they keep a safe distance from each other. According to this view, there should be no conflict because science and religion refer to differing domains of life or aspects of reality.” Stephen Jay Gould’s popular approach of “non-overlapping magisteria” is almost a Weberian ideal type of this approach. Barbour’s sympathies lay with the last two categories of his typology, dialogue and integration. Of dialogue, Barbour explains, “both scientists and theologians are engaged as dialogue partners in critical reflection on such topics, while respecting the integrity of each other’s fields.” Like champions of the independence model, those engaged in dialogue continue to occupy either roles as scientists or religionists, and the two remain separate. Finally, some proponents call for what Barbour describes as “a closer integration of the two disciplines,” in the form of a new synthesis. The physicists here do not occupy a single category in Barbour’s typology. Some, such as Carl Sagan, seem to work within one approach—independence—but as I read them, champion another—integration. While Barbour’s model has much to recommend it, I do not see the twentieth-century American physicists I examine as fitting neatly within any of these categories. Their work and approaches require a new theoretical model. A second typology for describing the relationship between religion and science is one that I developed in my work on new religious movements, specifically in my book Prophets and Protons: New Religious Movements and Science in Late Twentieth Century America (2010). Based on my study of these new religions, I categorized them as either guiding science, replacing science, or absorbing science. Religious movements that guided science sought to establish rules, boundaries, goals, and methods that scientists and scientific institutions would follow. I identified the Unification Church as an example. Those religions that replace science seek to supplant normative Western scientific paradigms, models, and methods with alternatives. 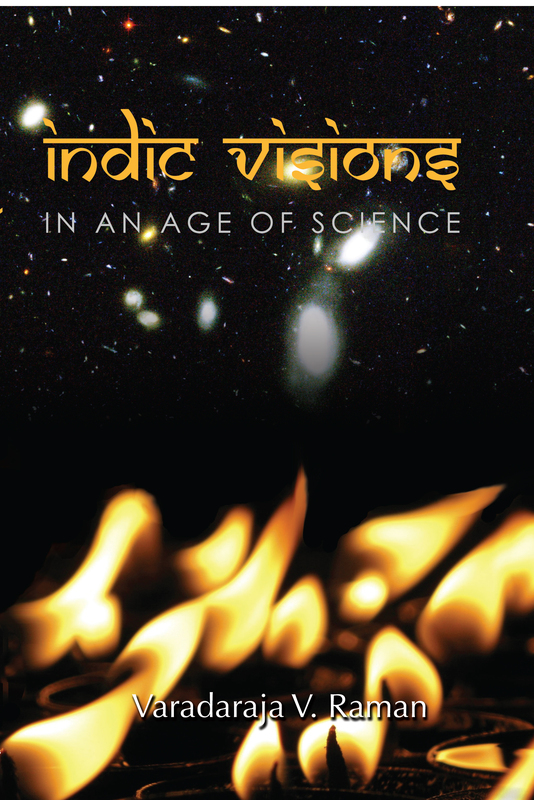 In the case of the Hare Krishna movement, which I highlighted in the book, participants attempted to replace Western science with a reconstructed idealized version of ancient Indian science. Scholars of new religions have seen similar approaches in Transcendental Meditation and several Indian New Age movements. Finally, I identified religious movements that sought to absorb the central claims, approaches, and cultural markers of science into religion itself. The UFO group Heaven’s Gate championed that approach, as does Scientology. Does this approach from the study of new religious movements work as well when applied to mainstream American physicists? When I first began this research, I thought it might, but I no longer believe so. This typology explains how religious groups, seeking to create new worldviews and new models of society, invoke science. Yet for each of them, religion operates as subject, and science as object. Given that I had studied new religious movements (rather than new scientific movements, or political movements), this makes sense. However, the physicists considered here begin from the place of science, and so they do not fit my typology of new religious movements and science. Hence, I present a new model for understanding how contemporary physicists engage science and religion that is threefold: science as a source for religion, science as support for a particular religion, and science itself as sacred. Each of these categories sacralize science, though in different ways. Here I highlight several representative examples, in order to demonstrate this new approach to understanding how scientists relate their work to religion. We first turn to the practitioners, sympathizers, and popularizers of modern physics who have understood their subject, particularly quantum physics and relativity, as a source of religious truth. During the 1970s, several outspoken scientists and popularizers of science wrote bestselling books declaring new religious truths drawn from the study of quantum physics. In their sacralization of science, they drew from a particular set of theological convictions born of the hallucinogen-induced mysticism of the counterculture, Asian-inspired new religions, the inchoate New Age movement, as well as a series of discoveries in physics that pointed towards a cosmos far less mechanistic and predictable than previously thought. Foremost in this new wave of physicists is Fritjof Capra (1939-), an Austrian-born American physicist whose book,The Tao of Physics (1975), and subsequent work looks to what he calls “the new physics”—general relativity and quantum theory—as a new model of religious truth. Though Capra clothes his positions in the language of Chinese religion—Daoism, Confucianism, and Buddhism—he, and those who adopt similar approaches, invoke those traditions in support of mystical perspectives they gained from physics. Capra argues in The Tao of Physics that the insights of quantum physics and general relativity have led to a “new vision of reality” comparable to that held by Asian mystical traditions. In Capra’s own words, “we shall see how the two foundations of twentieth-century physics—quantum theory and relativity theory—both force us to see the world very much in the way a Hindu, Buddhist, or Taoist sees it.” Capra in fact creates an amalgamated and ahistorical tradition that he calls “Eastern mysticism” that he argues prefigures and possesses the same qualities as the new quantum mysticism that he himself promotes. While Capra’s understanding of Asian religions has its flaws—and scholars of those traditions have criticized his tendencies to read them through Orientalist lenses—what matters for the study of religion and science is his willingness to use science as a source for religious insight. Capra finds in the discoveries of twentieth-century physics new religious truths, ones that he believes (rightly or wrongly) parallel Asian religious traditions. In this way, Capra transforms science from a purely worldly endeavor to a true vocation, one that effectively sacralizes science. Capra describes several scientific findings drawn from physics that he argues provide the basis for his proposed “new vision of reality.” These findings include the fluidity of space and time, interconnectedness, an organic vision of the universe, complementarily, the transcending of apparent opposites, and the basic oneness of all things. Though Capra applies his approach to numerous findings of physics, I believe that one example will suffice, namely his chapter on the religious implications of wave-particle duality, what he labels the “quantum paradox” of matter existing as both particle and wave simultaneously. This finding of modern physics suggests that all matter exists simultaneously as both particle and wave, and Capra uses it to argue that the true nature of the universe transcends apparent opposites. Peppered with quotations from luminary scientists like of Einstein and Heisenberg as well as religious sources such as Lao-Tzu and the Upanisads, Capra’s work primarily invokes scientific findings, but offers religious parallels as support for his basic contention that the “quantum koan” of wave-particle duality must, like the koans of the Zen tradition, awaken us to a deeper and more profound reality. Capra concludes his discussion of wave-particle duality by approvingly citing one of the fathers of the new physics, Neils Bohr, who interpreted his findings to indicate a new notion of complementarity, namely that particles and waves represented two descriptions of the same reality. Analyzing Capra’s Tao of Physics reveals several fundamental characteristics of what I call the use of science asource for religious truths, of which Capra’s quantum mysticism is but one example. First, while Capra frequently cites religious authorities as agreeing with his basic premises, and even prefiguring them, he primarily turns to science as offering ultimate truth claims. The book focuses on scientific discoveries and theorems, and invokes Asian religious traditions only when necessary to bolster Capra’s case. Second, Capra uses scientific findings as proof-texts. Often these assume the form of quotations from famous scientists, results of research studies, or summaries of scientific data. Thirdly, Capra sometimes invokes the authority of science itself as a form of proof or support for his arguments. Rather than explaining a scientific finding, he reproduces an unexplained diagram from a scientific journal or a scientific-looking piece of technology. In such cases, Capra invokes the aura of scientific credibility rather than utilizing specific scientific findings to support his case. Beyond the work of Capra, Gary Zukav, in his Dancing Wu Li Masters (1979) and William Arntz’s What the Bleep Do We Know! ?, a 2004 film, each repeat the basic patterns found in Capra’s work. Other physicists have worked within different parameters. During the 1980s and 1990s a number of physicists independently looked to science as a method of proving the validity of the Jewish and Christian Bible, and with them the truth-claims of Judaism and Christianity. These physicists already possessed strong faith-commitments and religious identities, and looked to physics as a means to support those communities and convictions. In such cases, physicists and their supporters sacralized science by transforming it into a religious pursuit. Jewish scientist Gerald Schroeder (1937?-), who like Capra is a favorite of the talk-show circuit, best represents this approach. Most notable for his best-selling Genesis and the Big Bang (1990), Schroeder’s frequent public pronouncements on the support of physics for a literal reading of the Hebrew Bible have made him popular among both Orthodox Jewish and Evangelical Christian audiences. In Genesis and the Big Bang, Schroeder sets out to demonstrate that the world is both approximately six thousand years old, as his reading of Genesis indicates, and billions of years old, as contemporary science also indicates. While a surface examination indicates that these two beliefs cannot be rectified, and indeed are deeply incompatible, Schroeder unites them. Schroeder accepts science as offering viable and reliable truths. He explains that science has factually proven the antiquity of the universe and the Earth. He offers direct statements of the findings of archeology, paleontology, geology, and astrophysics that clearly refute a six thousand year old Earth. Yet he does not offer these to disprove the Bible. Rather, he paradoxically sees these positions as supports for his Orthodox Jewish reading of the Bible. This is the heart of Schroeder’s argument in Genesis and the Big Bang: science supports an unallegorical, literal reading of the truths of Genesis and therefore the entire Torah. He dismisses “easy explanations” of equating a biblical day with several billion years, or what many Christians would call the “day/age” approach to the text, as well as views of the Bible as offering only metaphorical or mythical truths. Rather, with the support of science, Schroeder argues that the biblical text is literally, scientifically, true. “The biblical narrative and the scientific account of our genesis are two mutually compatible descriptions of the same, single, and identical reality,” he explains.14 “Which understanding is correct? Both are. Literally. With no allegorical modifications of these two simultaneous, yet different, time periods.” His argument hinges on the idea of multiple frames of reference as evidenced by general relativity. The Biblical text therefore, according to Schroeder, describes the six-day creation using the Creator’s reference time, and the time after Adam using Earth’s reference time. Cosmic background radiation, cosmic expansion, and Doppler shift all indicate the veracity of the Biblical text and later Jewish interpretation of it, Schroeder argues. 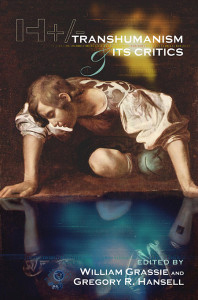 In her 2009 book Natural Reflections: Human Cognition at the Nexus of Science and Religion, Barbara Herrnstein Smith calls this approach, “New Natural Theology,” which she categorizes as attempts “to reveal a cognitively satisfying consonance between the accounts of nature given in the natural sciences and traditional Christian belief.” Though in the case of Schroeder, he seeks to satisfy traditional Jewish belief, the approach matches Herrnstein Smith’s basic definition of New Natural Theology. Herrnstein Smith categorizes such attempts as “largely a rhetorical enterprise, a … skillful use of language.” While I concur with Herrnstein Smith that Schroeder is engaged in a rhetorical enterprise, her dismissal of it does not do justice to the almost Talmudic quality of Schroeder’s work. Like the classic Talmudists, Schroeder seeks to both support the Biblical text as well as interpret it for contemporary needs. Schroeder manages to bind into a single belief system and intellectual approach what Herrnstein Smith calls “somewhat paradoxical ideas.” Herrnstein Smith’s own name for this approach, the “New Natural Theology,” is apt. While classic natural theologians turned to botany, zoology, and geology, new natural theologians such as Schroeder invoke contemporary physics in their quest to understand God. The new natural theology, to borrow Herrnstein Smith’s term, characterizes the work of physicists like Schroeder who envision science as offering support for particular religious convictions. Like Capra and those who find spiritual truths in science, Schroeder makes extensive use of scientific credentials to lend legitimacy: the second paragraph of Schroeder’s Genesis and the Big Bang cites the author’s training at M.I.T., and the author’s description of his involvement as a nuclear scientist working for the US Department of Defense occupies nearly the entire introduction. Citations of recognized leading scientists such as Einstein, Steven Weinberg, Stephen Hawking, and Francis Crick are found throughout the text. In this regard, the approach of Schroeder and those like him parallel that of Capra, who also invokes the aura of scientific legitimacy and uses science as a proof-text. Unlike Capra, however, Schroeder sees science as supporting an existing set of truth claims rather than as a source of such claims that merely parallels those derived from other religions. Sagan’s religious encounter with science led him to develop the hallmarks of religion—practices, beliefs, theology, and morals—all based on science. Though one can identify this religion of science in many of Sagan’s works, the best examples of his sacralization of science emerge in his vision of humanity’s future, Pale Blue Dot (1993), and the published edition of his 1985 Gifford Lectures, The Varieties of Scientific Experience (2006). Both of these books are religious through and through. Pale Blue Dot, by Sagan’s own estimation, offers a “spiritual” argument for exploring space and venturing into the unknown. Varieties of Scientific Experience, as Sagan explained, presents “my own personal views on this boundary area.” In both books, Sagan develops a theology of humility that he draws from his scientific assessment of the place of humanity and Earth in the cosmos. (Again, I mean “theology” in its technical sense of a religious ideology, since Sagan rejects the idea of theos.) This theology emerges from Sagan’s work in astrophysics. Science, Sagan argues, proves that we humans are not the centers of creation, that the universe does not exist for us, that we are not created in any creator’s image, and that humanity ought to look to the cosmos with a sense of humble awe. Against the “arrogance” of the “notion that we are created in God’s image, … modern science has been a voyage into the unknown, with a lesson in humility waiting at every step.” Sagan clearly intends his theology of humbleness to contrast with the anthropocentric theologies of Christianity and Judaism. Sagan goes so far as to offer an alternative genesis narrative, the “Starfolk” narrative that he wrote for his 1973 book, Cosmic Connection. Sagan goes further than merely calling for this theology of humility; he insists that science allows humanity to develop itself and discover the absolute truths of the universe. He explains that “[s]cience has carried human self-consciousness to a higher level. This is surely a right of passage, a step towards maturity. It contrasts starkly with the childishness and narcissism of our pre-Copernican notions.” Science illuminates the darkness of the universe, Sagan argues, and provides answers to the important questions of how the universe came to be, and our place it in. As he subtitled another of his books, science is a “candle in the dark.” This quest for knowledge is the true religion of our modern age, Sagan insists, and long after the human species exists, it will remain as our testament. Millions of years from now, whether homo sapiens have obliterated ourselves or evolved into a new species, space probes likeVoyager II, on which Sagan worked, will remained as our testament. They speak of what Sagan regards as humanity’s true and best religion: science. 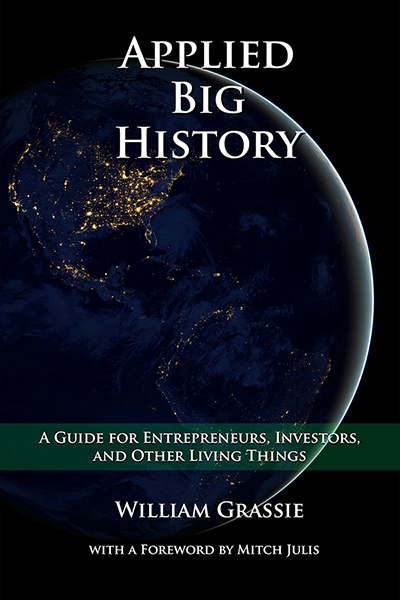 Thus far, Sagan’s approach to science is not radically different than that held by the scientific positivists of the late eighteenth and early nineteenth centuries, who followed Auguste Comte in positing science as the ultimate means to know the world, and all parts of the world as ultimately knowable by science. However, Sagan goes much further than the positivists in his sacralization of science. Rather than envisioning science as a sterile emotionless pursuit, he sees in its practice the presence of awe and transcendence that most religious people would identify as the sacred or holy. For Sagan, the sacred is part of science. “In some respects,” Sagan explains, “science has far surpassed religion in delivering awe.” While religions cling to myths and superstitions, science reveals the magnificence and wonder of the universe: “By far the best way I know to engage the religious sensibility, the sense of awe, is to look up on a clear night.” In his reveling in the awe and wonder of the universe, Sagan engages in an explicitly religious act. Following Rudolph Otto, who himself followed Friedrich Schleiermacher, I identify Sagan’s humble encounter with the overwhelming awe of the universe as the heart of his religious experience. The encounter with the mysterium tremendum, as Otto called the object of awe, is precisely the root of Sagan’s theology of humbleness. Seen synoptically, these three clusters of physicists and their specific approaches to sacralizing science reveal an important facet of late-twentieth century American culture. Just as religious individuals and groups have sought to modernize themselves, absorbing the assumptions, epistemologies, social value, and prestige of science, proponents of science have similarly looked to religion. In identifying religion and science as sources of supreme truth and ultimate concern, the practitioners, popularizers, and sympathizers of contemporary physics reveal the continuing power and relevance of religious thought among scientists in the late twentieth-century United States. This challenges not only the outdated conflict model, but also the very assumption that it is always religion that engages and responds to science. In fact, the opposite happens as well. These American physicists, in claiming religious methods, goals, and concerns, acknowledge the continuing power of religion in the modern world. This essay was originally presented in the North American Religions section of the 2010 Annual Meeting of the American Academy of Religion. I am grateful to my fellow panelists, audience members, and respondent for their comments and suggestions for improvement. “Betting on Science: Odds and Ends,” The Economist, 31 July, 2010, 65. 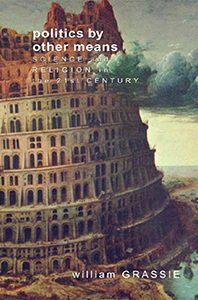 Ian G. Barbour, When Science Meets Religion (San Francisco: HarperSanFrancisco, 2000), 2. Stephen Jay Gould, “Nonoverlapping Magisteria,” Natural History, March 1997. Barbour, When Science Meets Religion, 3. Fritjof Capra, The Tao of Physics: An Exploration of the Parallels between Modern Physics and Eastern Mysticism, 4th ed. (Boston: Shambhala, 2000),6. For example, Capra argues, “the whole universe appears as a dynamic web of inseparable energy patterns,” an explicitly cosmological statement. Ibid., 80. Elsewhere, he writes that the new physics shows us a “more subtle, holistic and organic view of nature,” an explicitly immanentist theology. Ibid., 54. For more of Capra’s work, see Fritjof Capra, The Turning Point: Science, Society, and the Rising Culture (New York: Simon and Schuster, 1982), Fritjof Capra, David Steindl-Rast, and Thomas Matus, Belonging to the Universe: Explorations on the Frontiers of Science and Spirituality, 1st ed. (San Francisco, Calif.: HarperSanFrancisco, 1991). Gary Zukav, The Dancing Wu Li Masters : An Overview of the New Physics, 1st ed. (New York: Morrow, 1979), William Arntz, Betsy Chasse, and Mark Vicente, What the Bleep Do We Know!? (Roadside Attractions, 2004). Gerald L. Schroeder, Genesis and the Big Bang: The Discovery of Harmony Between Modern Science and the Bible(New York: Bantam Books, 1990), 29. Barbara Herrnstein Smith, Natural Reflections: Human Cognition at the Nexus of Science and Religion (the Terry Lectures Series), 95. This 1994 interview is quoted in Keay Davidson, Carl Sagan: A Life (New York: John Wiley & Sons, 1999), 18. Carl Sagan, Pale Blue Dot: A Vision of the Human Future in Space, 1st ed. (New York: Random House, 1994), xviii. Carl Sagan and Ann Druyan, The Varieties of Scientific Experience: A Personal View of the Search for God (New York: Penguin Press, 2006), xvii. Sagan, Pale Blue Dot, 23. Carl Sagan, The Cosmic Connection: An Extraterrestrial Perspective (Garden City, N.Y.: Anchor Press, 1973), 249. The entire fable is found in Ibid., 249-55. Sagan, Pale Blue Dot, 47. Carl Sagan, The Demon-Haunted World: Science as a Candle in the Dark (New York: Ballantine, 1997). Sagan, Pale Blue Dot, 153. Sagan and Druyan, The Varieties of Scientific Experience, 2. Arntz, William, Betsy Chasse, and Mark Vicente. What the Bleep Do We Know!? Roadside Attractions, 2004. Barbour, Ian G. Religion and Science: Historical and Contemporary Issues. San Francisco: HarperSanFrancisco, 1997. —. Religion in an Age of Science. San Francisco: Harper & Row, 1990. —. When Science Meets Religion. San Francisco: HarperSanFrancisco, 2000. Capra, Fritjof. The Tao of Physics: An Exploration of the Parallels between Modern Physics and Eastern Mysticism. 4th ed. Boston: Shambhala, 2000. —. The Turning Point: Science, Society, and the Rising Culture. New York: Simon and Schuster, 1982. Capra, Fritjof, David Steindl-Rast, and Thomas Matus. Belonging to the Universe: Explorations on the Frontiers of Science and Spirituality. San Francisco, Calif.: HarperSanFrancisco, 1991. Davidson, Keay. Carl Sagan: A Life. New York: John Wiley & Sons, 1999. Gould, Stephen Jay. Nonoverlapping Magisteria. Natural History, March 1997, 16-22. Herrnstein Smith, Barbara. Natural Reflections: Human Cognition at the Nexus of Science and Religion (The Terry Lectures Series). New Haven: Yale University Press, 2009. Otto, Rudolph. The Idea of the Holy. Translated by John W. Harvey. New York: Oxford University Press, 1950. Sagan, Carl. Pale Blue Dot: A Vision of the Human Future in Space. New York: Random House, 1994. —. The Cosmic Connection: An Extraterrestrial Perspective. Garden City, N.Y.: Anchor Press, 1973. —. The Demon-Haunted World: Science as a Candle in the Dark. New York: Ballantine, 1997. Sagan, Carl, and Ann Druyan. The Varieties of Scientific Experience: A Personal View of the Search for God. New York: Penguin Press, 2006. Sagan, Carl, and Tom Head. Conversations with Carl Sagan. Literary Conversations Series. Jackson: University Press of Mississippi, 2006. Schroeder, Gerald L. Genesis and the Big Bang: The Discovery of Harmony between Modern Science and the Bible. New York: Bantam Books, 1990. Zeller, Benjamin E. Prophets and Protons: New Religious Movements and Science in Late-Twentieth Century America. New York: New York University Press, 2010. Zukav, Gary. The Dancing Wu Li Masters : An Overview of the New Physics. New York: Morrow, 1979.